PSNews – Emulation Grouping 7 under the Ministry of Public Security (MPS) in November organized a conference to review the movement of “For Fatherland’s Security” in 2018. Major General Mai Van Ha, Director of the Department of Information and Communications, Head of Emulation Grouping 7 chaired the event. Emulation Grouping 7’s members include the Department of Information and Communications; Department of Personnel and Organization; Department of Party and Political Work; Department of Education; the Ministry Inspectorate; and the Inspection Subcommittee of the Central Party Committee of Public Security. 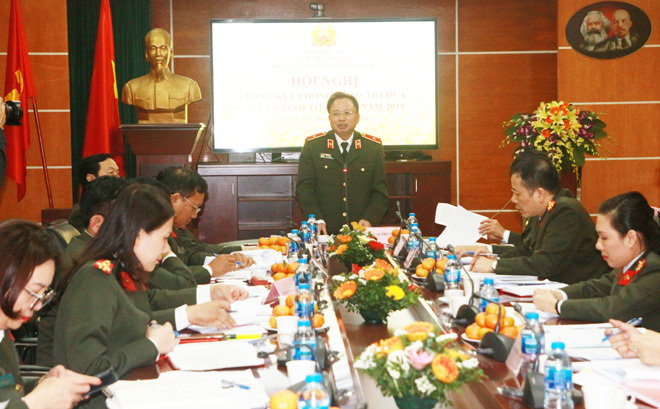 In response to the emulation movement “For Fatherland’s Security” in 2018 of the MPS and under the guidance of the Central Party Committee of Public Security and leaders of the MPS, at the beginning of the year, all units of Emulation Grouping 7 drew up action plans and launched the movement following the Directives of the Politburo and the MPS. During the emulation movement the leadership of the units of the grouping combined harmoniously between the movement and their political tasks while taking effective measures to create an active emulation atmosphere among their officers, contributing to successfully fulfill their assigned tasks. In 2918, all police units under Emulation Grouping 7 actively advised the Central Party Committee of Public Security to organize drives to study the Resolutions of the 6th and 7th Meetings of the 12th Communist Party of Vietnam Central Committee, Resolution No. 22 of the Politburo on reorganizing and streamlining the apparatus of the Ministry of Public Security. 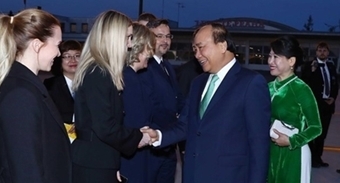 The grouping also participated in developing the Project "Some issues on continuing to renovate and streamline the public security apparatus for more efficiency and effectiveness." At the conference, the delegates contributed ideas to the annual report on the emulation movement and suggested measures to overcome their limitations and draft out plans for 2019. The conference also selected units with outstanding achievements, and elected the Head and Deputy Head of Emulation Grouping 7 in 2019.